At the Roastery, they’re using an East Timor Peaberry coffee for the cold brew, and then infusing it with nitrogen. The addition of nitrogen gives the cold brew a unique malty, creaminess to it. The cold brew ends up both looking and tasting a little bit like beer! It naturally develops a foamy head to it, like a beer. However there’s more! 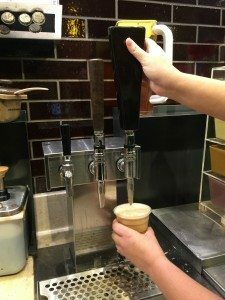 Starbucks is working on testing their Nitro Cold Brew in select Arizona locations. 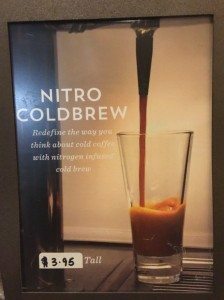 It’s my understanding that Nitro Cold Brew is currently a single-store test at the Ellsworth and Baseline store, in Mesa, Arizona. 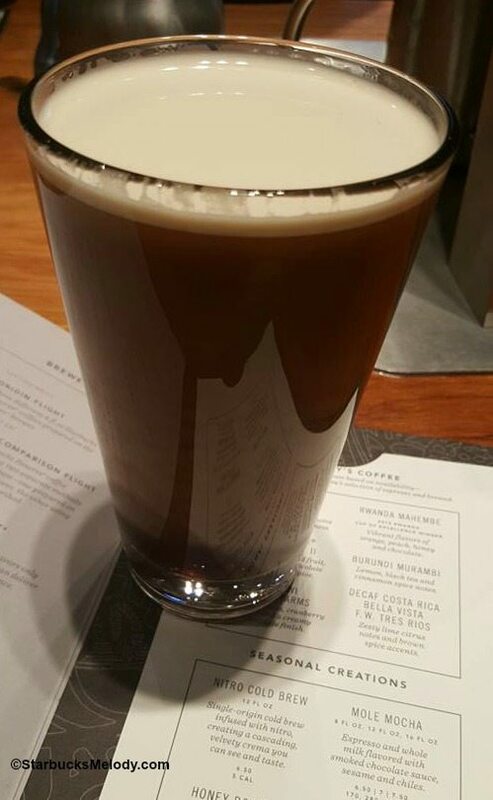 The Nitro Cold Brew in Arizona, uses the standard Starbucks Cold Brew Blend, which is a blend of Latin American and African coffee components. Unofficially, I’ve been told that in the coming weeks there are plans to expand the test to about 8 Starbucks locations in the Phoenix area. Pretty exciting and innovative test! If you like reading about test products that Starbucks has tried out over the years, scroll through the Starbucks test products articles here – you’ll read about things like the French Vanilla Custard Latte or the Copacabana Beach Frappuccino or the Melted Truffle Mocha. Tazo Iced Peach Green Tea Lemonade at Starbucks: Melody loves it. Starbucks tests yogurt-based mango passionfruit and strawberry smoothies. That is the closest SBUX to my parent’s house and I will be in PHX in two weeks…will definitely need to check ot out. Do you know where I can find a list of stores that have nitro cold brw in Seattle? This is listed in the registers in Fort Worth as an item to be rang up, so expect it shortly. It’s delicious & sooooo smooth!!! 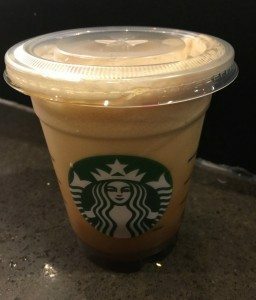 This test store is trying out coffee ice cubes, too.